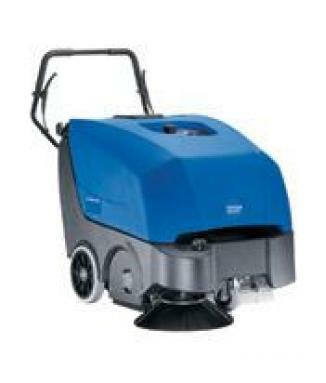 The SCRUBTEC R BOOST is extremely compact and stable, ideal for all scrubbing tasks. It can be configured with different brushes, pads and other options to exactly fit the customer's needs. 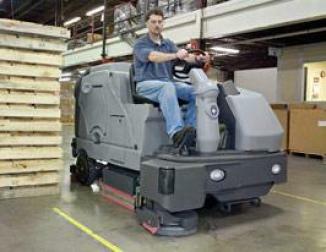 The SCRUBTEC BOOST scrubber dryer is more productive, due to a new patented orbital scrub head system. Suitable for demanding cleaning tasks in industry, warehouses and larger stores, supermarkets, hospitals(health care), shopping centres. Safety in operation, not only for the operator, but also for the people walking where the machine has cleaned, as it leaves the floor dry, reducing slip and fall hazards. What is the BOOST system? 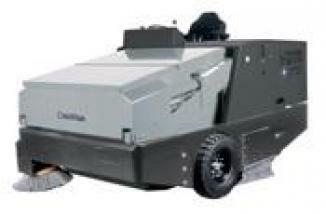 The new SCRUBTEC BOOST scrubber dryer is more productive than any other floor scrubber on the market. The increased productivity is due to a new patented orbital scrub head system, with a unique orbital scrubbing motion working at 2250 rpm. 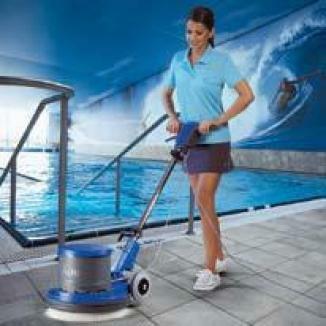 When compared to a disc scrubber, this system will: - Save water/chemical solution by approx. 50% and with fewer dumps and re-fills. - Increase battery run time by approx. 28%, due to the fact that it only requires one brush motor. - Scrub more efficiently. 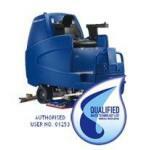 - Improve life of the scrub pads and the floor finish. - Require no splash skirts. 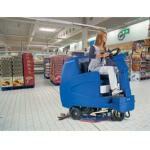 The SCRUBTEC rider is the ideal solution for maintenance cleaning in retail stores, municipality distribution centres, warehouses, hospitals & health care facilities, supermarkets, car dealers, schools, restaurant & cafeterias, administration & state buildings, food industry, industrial facilities etc.